Dr Sean O'Donoghue is a bioinformatician who has played an integral part in raising the global standards in understanding, visualising and dealing with biological data by developing novel bioinformatics software. Whilst studying at the University of Sydney, Dr O'Donoghue was awarded a Doctor of Philosophy for research into molecular basis of muscle movements using interdisciplinary approaches, including biophysics, biochemistry and bioinformatics. Dr O'Donoghue has been doing bioinformatics research since 1988. Much of that time has been with the European Molecular Biology Laboratory (EMBL) in Heidelberg, Germany. Dr O'Donoghue held managerial positions in Industry, including Lion Bioscience, an EMBL spin-off company, the largest bioinformatics company of its time. Prior to Lion Bioscience, Dr O'Donoghue's activities included improving how 3D structures of proteins are calculated from Nuclear Magnetic Resonance (NMR) data. Dr O'Donoghue and his team’s work with NMR has been highly cited and is now one of the most standard methods used to determine NMR structures. 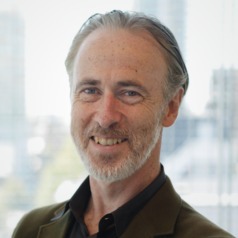 Dr Sean O'Donoghue is currently the Office of the Chief Executive (OCE) Science Leader in biodata visualisation with CSIRO Computational Informatics. He also holds a joint position at The Garvan Institute of Medical Research as a group leader in biodata visualisation. The University of Sydney, Ph. D.